Ultra-right-wing media network Breitbart has recently been in the news for ‘declaring war on Kelloggs’ after the cereal company pulled its advertising from the site last month, claiming the website’s values were at odds with those of the Kellogg’s brand. What’s interesting from a food safety perspective is the fact that one of the first things actioned by the network in its current campaign has been the publication of some highly misleading content regarding Kellogg’s’ track record when it comes to product recalls. That’s interesting for two reasons. Firstly, it shows how much sway the notion of a recall has over public opinion; and secondly, it shows how little Breitbart feels its readers understand about the nature of product recalls. For the first, consider: the fact that Breitbart deems the reporting of recalls a sensible thing to weaponise most likely implies the media outlet believes recalls have high potential to sway public opinion against a manufacturer. On this point, at least, they’re indeed correct. Recalls are generally understood to be potentially extremely damaging to the reputation of food manufacturers. Indeed, manufacturers oftentimes pour resources into finely-calculated estimations regarding the risks associated with calibration and so forth, in order to fine-tune just how much quality control they should partake in. Recalls certainly matter. However, secondly, it’s worth unpacking the notion that Breitbart clearly also considers their readers to have a relatively limited understanding of the nature of recalls and their actual reflection upon the standards of a company. Specifically, Breitbart is reporting the fact that Kellogg’s has had five product recalls in six years as being a major, perhaps even unusual failing on the company’s part. However, let’s remember: Kellogg’s is a massive company which sold over 12 billion products in 2010 alone. Indeed, as Mic.com points out, not only is the Breitbart headline (which reads ‘Kellogg’s Besieged by Food Product Recalls over Listeria, Glass and Metal’) very misleading for its implying that such recalls are on-going, but when it comes to the recalls themselves, ‘the most recent [was] a voluntary recall of Eggo waffles in September 2016…. 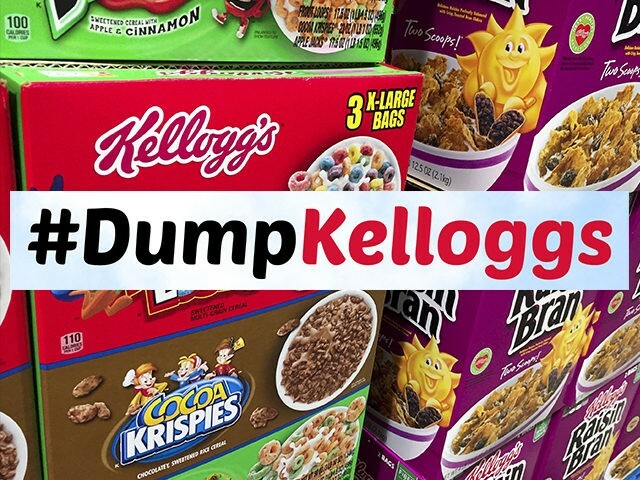 [and one] occurred in the United Kingdom.’ Breitbart, it seems, is relying on its readers to interpret this data as evidence for a ‘Besieged’ Kellogg’s: which perhaps speaks to the importance of educating people with regards these issues in order to ensure they aren’t sufficient to enable a scorned news outlet to set the standards of consumer values and expectations. Overall, then, what at first seems a very bizarre case is in fact relatively clear-cut. Breitbart’s smear campaign won’t hold up to much scrutiny at all; and we would all do well to question the motives behind the publication of any news we come across. Especially in this day and age.